Canadian Pacific can easily pay more for Norfolk Southern than $28 billion, the offer the U.S. railway rejected on Friday. But regulators, not money, may be the biggest hurdle to a deal. CP could still sweeten the bid, of course. It says it can realize $1.8 billion of annual savings from combining its Canadian and Great Lakes railways with Norfolk Southern’s network east of the Mississippi River. The present value of those savings should be worth over $12 billion after taxes – far more than the $4.5 billion premium on offer. In fact, Canadian Pacific could pay up to $33 billion before eating into shareholder value, according to Breakingviews calculations. 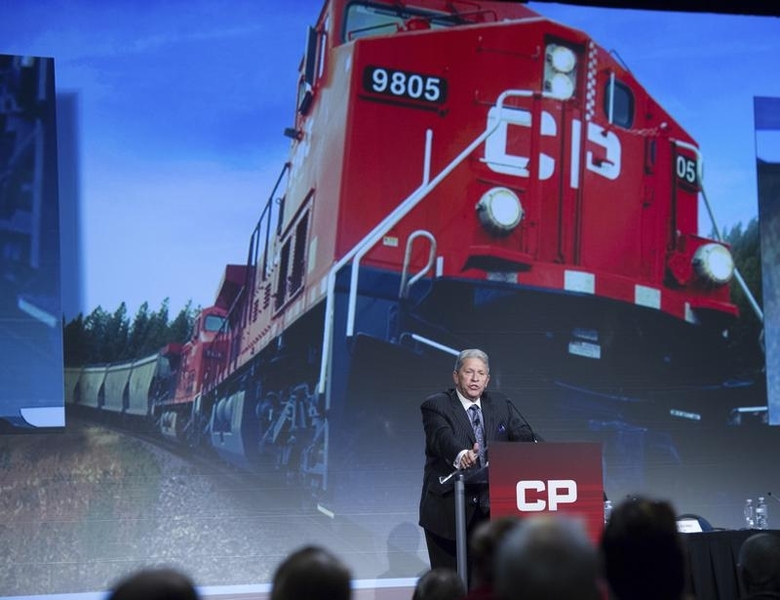 Consolidating the North American rail sector seems the ultimate goal for CP boss Hunter Harrison, who has transformed the company from an industry laggard into a leader in operating efficiency since taking the top job in 2012. Harrison approached CSX, another American railroad that operates on the East Coast, in 2014 but talks went nowhere. Hedge fund billionaire Bill Ackman, who is CP’s largest shareholder and recruited the veteran rail executive, shares those ambitions. And a takeover of Norfolk Southern would be a bright spot for him in a year overshadowed by his bad bet on Valeant Pharmaceuticals. Even at a higher price, though, the deal would face major obstacles. U.S. Surface Transportation Board rules, for example, condition approval of rail mergers on whether they enhance competition. That’s a substantially higher bar than regulators usually set for other industries. Canadian Pacific would also have to demonstrate that the transaction would serve the interests of the public as well as company employees. Burlington Northern Santa Fe and Canadian National Railway backed off a planned merger 15 years ago after regulators imposed a railroad-deal moratorium and tightened up the merger rules. And while Canadian Pacific has tried to allay concerns by offering to let rivals use its tracks if its service falls short of shippers’ expectations, approval is still a long shot. Even if the transaction did get the green light, the regulatory conditions might eliminate its economic rationale. This is one train that may have been better off never leaving the station. The board of U.S. railroad Norfolk Southern on Dec. 4 rejected a $28 billion unsolicited offer from Canadian Pacific, saying it undervalued the company. Canadian Pacific revealed the terms of its cash-and-shares offer on Nov. 18. It valued Norfolk Southern at a roughly 20 percent premium, based on the companies’ stock prices on Nov. 6, before news of a potential approach surfaced.